This has been Brawl in the Family. Thank you for reading. I’m not even sure where to begin. This experience has truly been a magical one for me. Not only have I been able to do something that I really enjoy, but I’ve been able to share that joy with people the world over. The fan response has absolutely been the most fulfilling part of all of this, and I hope that future readers will find the same enjoyment in this little blue-and-white corner of the internet. Guess I should give one last comic write-up for One Last Song, eh? Well, it’s a pretty straightforward idea, a look back at various comics in an original song (the third fully original theme in BitF history, in fact, along with 200 and 400). I provided all the voices. And even the right hand showed up for this one (although since I’m a southpaw, the other hand seems a little nuts, to be honest). The big Les Miserables-style number near the end was a very late addition, but it ended up working itself out surprisingly well I think. Hope you enjoyed this trip through memory lane! 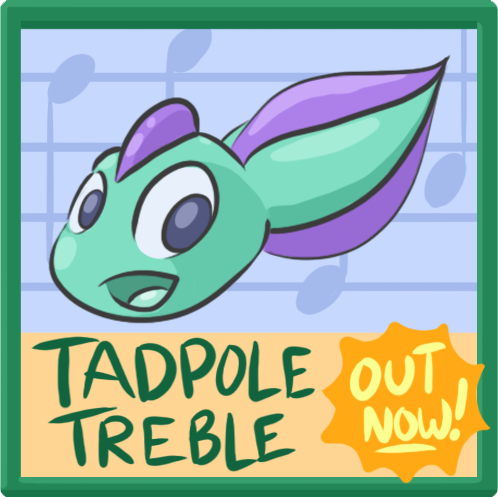 1) Tadpole Treble is the big one! This is the indie game that my brother and I came up with, and I’m doing nearly all of the art and music for it as well and it’s coming to the Wii U next year. Our gaming company is BitFinity, and we’re planning on doing a frequent “developer blog” on the site to give readers interesting tidbits that go into designing a game. I’m planning on drawing for it as well, so you may want to tune in for that too. And if you haven’t seen it yet, be sure to check out this shiny new trailer we’ve constructed for your enjoyment! 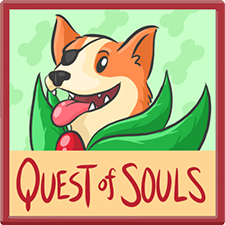 We could still use some Greenlight Votes to get on Steam, though, so feel free to help us out! 2) If that’s not enough, my buddy Josh Hano hit his goal with Wii U-bound action game Nefarious, and I’m handling the soundtrack to that one as well. 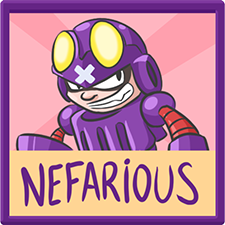 Nefarious is early in development, but it’s already shaping up to be a great game, and you can keep your eye on it here. 3) “But Matthew,” I hear you say, “Video games are all well and good, but I prefer still images of Nintendo characters doing funny things!” Well, you’re still in luck because I’m not fully retired from comics. 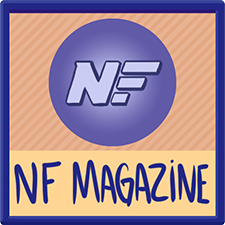 NF Magazine is a terrific spiritual successor to Nintendo Power, spearheaded by some of the top Nintendo fans on the internet, and I’m still doing a comic every issue for them. Granted, one strip every 2 months is 1/16th what you might be used to from me, but they’re all in full color and still contain my oddball sense of humor! I also write articles and review for them. 4) Podcasts! Yep, as of right now, we’re not quite done with them. In fact, I’d like to update next month with a post-BitF podcast starring Chris and I, so keep your eyes out. We might even make it a regular thing (for once)! 5) I’ve taken the plunge and opened a Twitter account. I’m MatthewPTaranto over there (for now) because BitFinityMatthew doesn’t fit (and I don’t really go by “Matt”). This account should keep you up to date on various things I’m working on in the future! 6) As of now, not only is the BitFinity site open, the forums are as well! Since BitFinity is a wholly separate site from BitF, we thought it’d be good to keep the forums separate. However, the Brawl in the Family Forums will still remain up and running as well! BitFinity’s new forum will be a good place to talk Tadpole Treble and other developer discussion though. And what of www.brawlinthefamily.com? Don’t worry, the site’s not going anywhere (even though shutting it down would probably increase book sales! ); you’ll be able to check back on all 600 comics at any time. How about the Store? Well, we’re sold out of everything except Volume Ones and Eight Formidable Bosses Shirts. Both are on clearance sale, especially paperbacks of Volume One, which are cheaper than ever! And the Forums? They’re not goin’ anywhere either! Okay then. I think that’s everything. I’ll still be around, finally getting around to checking my email and such, and oh yeah, writing/designing two absolutely enormous books. That’s after months of constant working and planning to get all this ended in a timely and satisfying fashion! I haven’t slept past 8:30 AM since the Summer! But you know what? I’m happy to do all that, and I wouldn’t trade my experiences with Brawl in the Family over the past few years for anything. Remember, friends, as long as these characters live on through you guys (and Nintendo, of course), they’ll continue to have adventures and stories for decades. So farewell, Kirby, Dedede, Meta Knight, Adeleine, Waluigi, and all the fans out there who’ve followed this silly comic strip for so long! Thanks for letting me share this part of my life with all of you.